When will be Last Squad Standing next episode air date? Is Last Squad Standing renewed or cancelled? Where to countdown Last Squad Standing air dates? Is Last Squad Standing worth watching? Move over Taylor Swift, Oxygen Media is taking #squadgoals to the next level in the brand new competition series Last Squad Standing, premiering Tuesday, November 1 at 9 PM ET/PT. 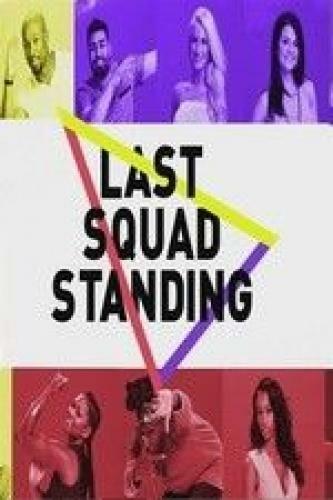 Hosted by Alesha Reneé (Girl Code), three groups of friends from around the country will live together, compete and ultimately vote each other off the show for a grand prize of $100,000 and the title of "Last Squad Standing". Last Squad Standing next episode air date provides TVMaze for you. EpisoDate.com is your TV show guide to Countdown Last Squad Standing Episode Air Dates and to stay in touch with Last Squad Standing next episode Air Date and your others favorite TV Shows. Add the shows you like to a "Watchlist" and let the site take it from there.